2. With mechanism that allows wringing without the user hands getting wet. 5. 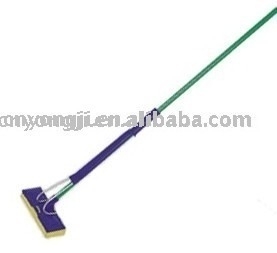 Size : Aluminum pole, 22 mm*130 cm , Rectangle Sponge : 23*8.5*3 cm . 6. We can make a lot of styles and sizes.